Throughout his 20 years of professional experience, Folker served as Executive Creative Director at Publicis, Saatchi & Saatchi, Leo Burnett and OgilvyOne. He has worked with major brands such as Coca-Cola, Levis, Logitech, Marlboro, Lufthansa, Chrysler, Mastercard, Western Union and many more. He has won more than 80 awards in his career at various awards festivals like Cannes Lions, Clio, London International, New York Festival and Echo. He is a member of the Art Directors Club of Germany and has served on juries at many major festivals, such as Cannes Lions, red dot and ddp. 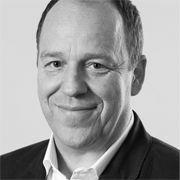 Folker studied Psychology at Justus Liebig University and entered advertising as Junior Copywriter for OgilvyOne in 1993 where he learned direct and digital advertising.